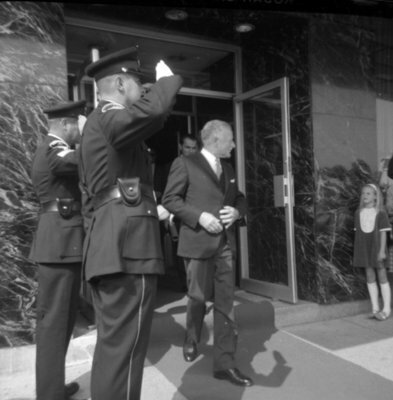 A black and white photograph of Governor General Roland Michener leaving the Genosha Hotel in Oshawa. Visit of Governor General Roland Michener, September 18, 1968, Brian Winter. Whitby Archives A2013_004_244.